Moving any website from the current domain to a new domain is a nightmare, even an expert will break a sweat while doing it. But with wordpress it is easy as stealing money from your dad’s pocket. In fact you don’t even need to break a sweat, or hours and days of nightmares to move your wordpress blog. You just follow these easy steps, but always remember you create a backup of your wordpress blog as a precaution. You can use Xcloner or any other plugins for creating backups. From the wordpress dashboard select Tools -> Export, and select “All Content” from the export page options. This will export the whole blog along with comments and menu settings into one single .xml file. Now note down the permalink structure you use with your current blog. 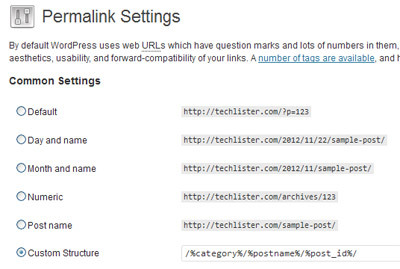 Goto Settings -> Permalinks and there you will have the link structure. This setting is important if you are planning to do one to one redirect, for example if you have links to articles like the following, and when a user access these links, then the user will be redirected to the same link on your new domain. We will see about redirection to your new domain towards the end of this article. Now download the whole wp-content folder using any ftp application like filezilla, or any other which you are comfortable with. This folder contains the plugins, themes and uploads. 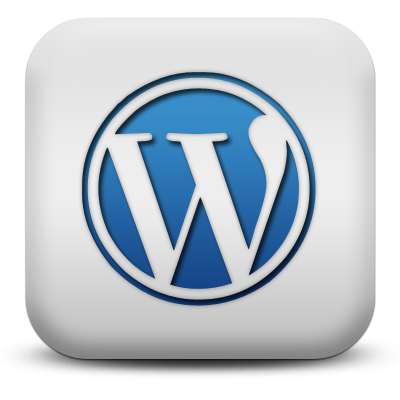 Now install wordpress (a fresh copy) on your new domain. Different hosting providers have different installation methods. Log in to your new domain and set the permalink structure that you noted down in Step 2. Upload the whole wp-content folder (you downloaded in step 3) to your new domain. 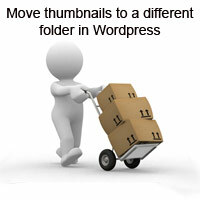 With the fresh installed copy you will have wp-content folder present already, just overwrite the folder. 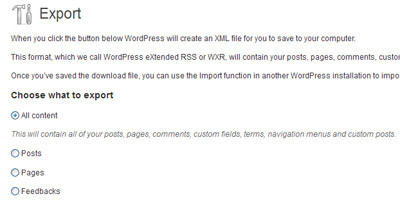 Now Goto Tools -> Import and select “wordpress”, you will be asked to install wordpress importer plugin. Install, activate and run the importer. Now import the .xml file that you exported from your old blog (Step 1). Now activate the themes and plugins that you are using in your old blog. And double check everything, so that your new domain looks like an exact copy of the old domain. You will be still having the old domain urls within your new domain. Urls to images and categories will be stored within your database. So you must replace those urls with your new one. For this you can use plugins like Search and Replace or Update URLs. You check everything including plugins, widgets, templates and content before going into the final step. If everything is working fine, then you redirect your old domain to the new domain. Here we will do one to one redirection so that visitors and your back-links wont be lost. Replace yournewdomain.com with your domain name. Finally submit sitemap of your new domain to Google webmaster and start publishing on your new domain.